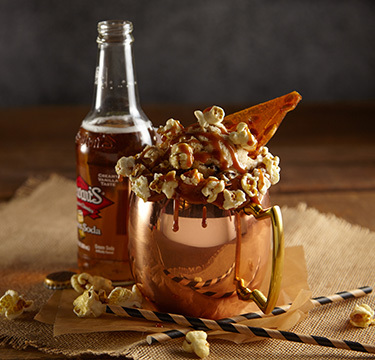 Heaping scoops of rich, salted caramel ice cream are filled in a butterscotch and kettle corn rimmed mug and topped with cream soda, fresh whipped cream, warm crispy kettle corn and cashew brittle. Dip a standard pint glass into salted caramel to create a caramel-rimmed glass. 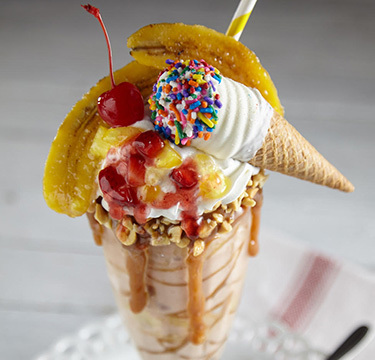 Scoop three #12 scoops of Blue Bunny Salted Caramel Craze Ice Cream into prepared glass. 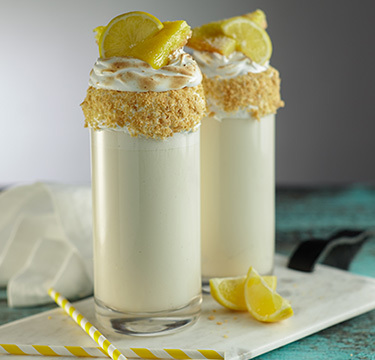 Top with cream soda. 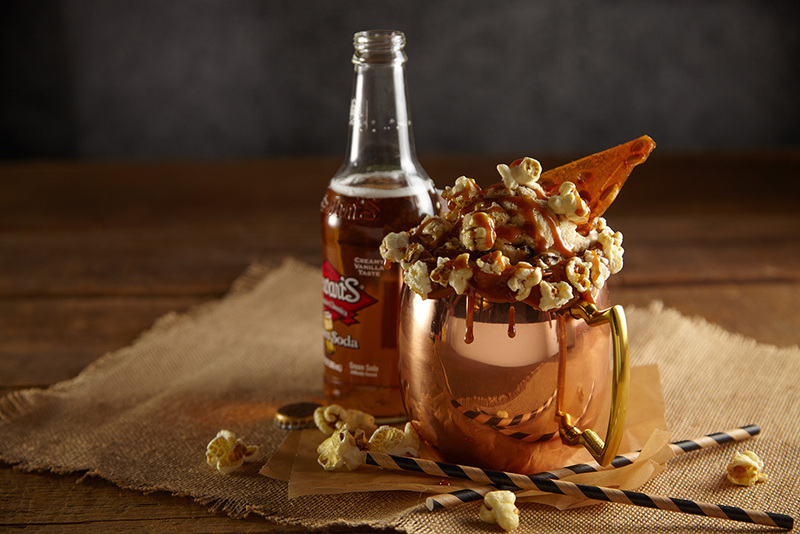 Drizzle float with remaining salted caramel and press kettle corn over top and rim of glass. Gently place brittle into float and serve immediately.